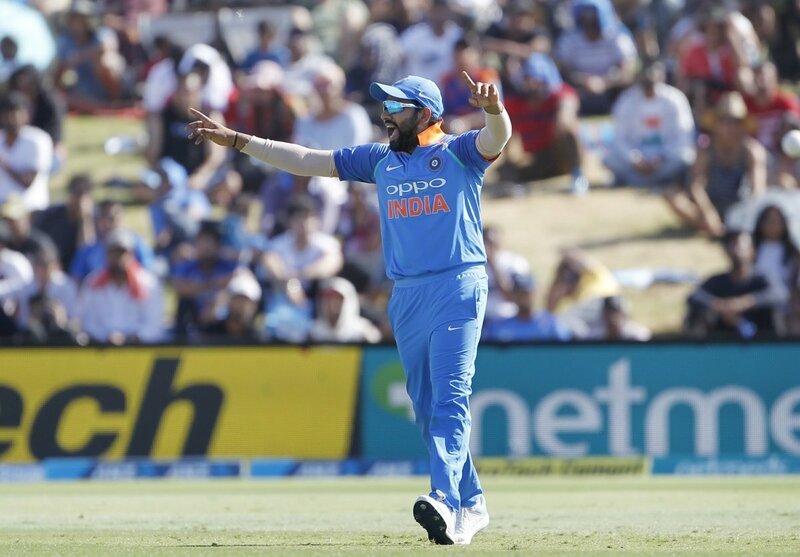 Tauranga: Continuing with their impressive run, Indian bowlers bundled out the New Zealand side at the score of 243 runs in the third ODI of their ongoing five-match series here at the Bay Oval Cricket Ground on Monday. Asked to bowl first, India finished the New Zealand innings in 49 overs, getting an achievable target of 244. 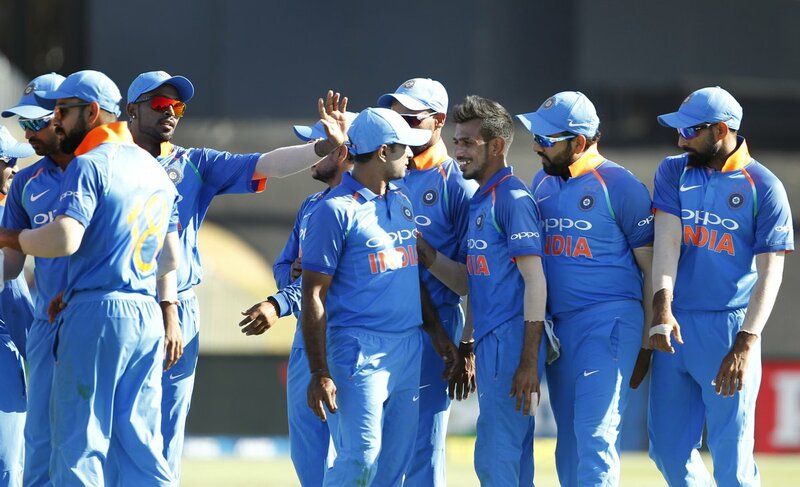 Pacer Mohammed Shami picked up three wickets for India followed by Bhuvneshwar Kumar, Yuzvendra Chahal and Hardik Pandya who scalped two wickets each in the match. Shami gave India their first breakthrough in the form of opposition opener Colin Munro (7) who was caught at the slips by Rohit Sharma. New Zealand had added just 16 more runs to their scorecard when they lost their second opener Martin Guptill (13), who played a lazy shot off one of Bhuvneshwar Kumar deliveries and gave an easy catch to keeper Dinesh Karthik. New Zealand skipper Kane Williamson was the next man on the crease and was expected to take his team out of the trouble as they were struggling at 26/2. Adding to New Zealand’s woes, spinner Chahal picked up the crucial wicket of Williamson who was caught brilliantly by Indian all-rounder Hardik Pandya at the midwicket position. Following the skipper’s dismissal, middle-order batsman Ross Taylor and wicket-keeper Tom Latham stitched 119-run partnership to stabilize the New Zealand innings. 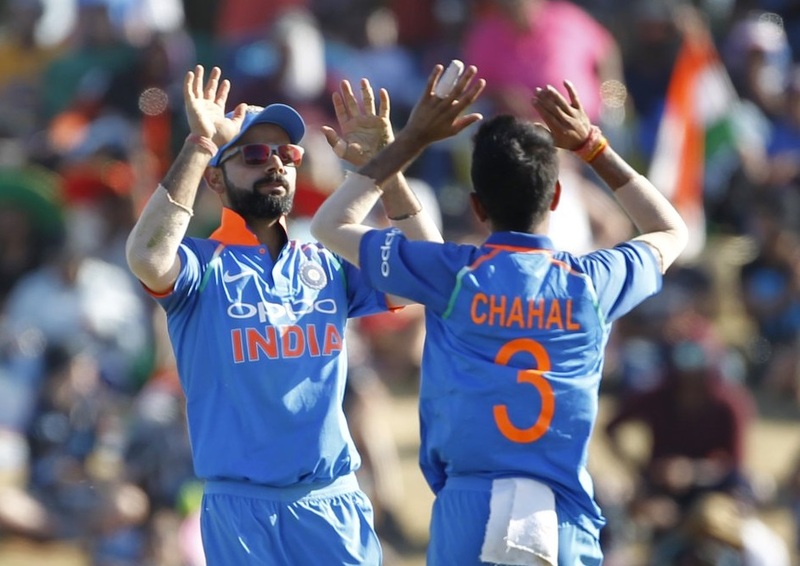 At a time when the hosts started reviving their situation, Chahal struck again and gave India the breakthrough by picking up Latham’s wicket. Soon after, India’s comeback man Hardik Pandya departed left-hand batsman Henry Nicholls (6) using a slower bouncer. Two overs later, Pandya struck again and this time it was Mitchell Santner (3) who fell into his trap. Wickets kept falling from the one end but Taylor was holding the crease strongly from the other side. At the score of 93, he was caught behind by Karthik when he nudged one of the Shami deliveries. 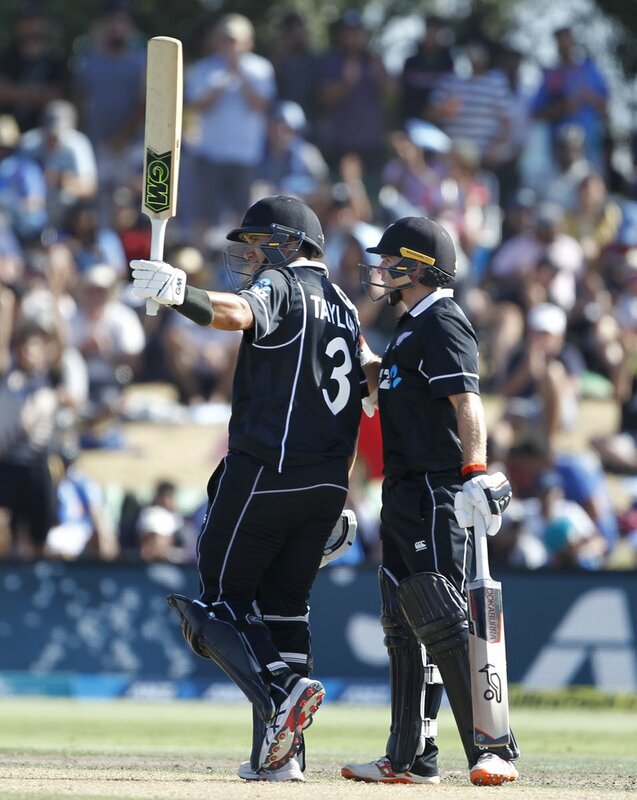 New Zealand were 222 at the loss of seven wickets with no specialist batsman left on the crease. In the 47th over, Shami gave the opposition eight jolt when he picked up Ish Sodhi (12) using a length delivery. The last two New Zealand men to depart were Doug Bracewell (15) and Trent Boult (2). While the former was run out by Virat Kohli, the later’s wicket was picked up by Bhuvneshwar Kumar.